We are an award-winning, chartered architecture practice based in the Cotswolds. Inspired by the unique context of each project we enjoy creating thoughtful, site-specific designs that enhance the environment. Our approach has been recognised by the Miner’s Cottages winning 'Best Renovation' & 'The Readers' Choice' in the 2016 Daily Telegraph Homebuilding & Renovating Awards. Young, enthusiastic & personable we feel able to rise to any challenge, enjoying getting our teeth into tricky architectural issues. We help clients, both commercial and residential, unlock potential in their projects by carefully listening to their requirements & creating designs that meet their ambitions. Bristol architects specializing in contemporary and sustainable residential design, often in historic settings. We have a particular passion and expertise in working with listed buildings and old properties. We employ best practice methods in breathing new life into old buildings in a sympathetic and where possible, innovative way. We are a well established Bath-based architecture and design practice with a reputation for delivering exceptional architecture and design solutions for a wide range of properties, both private homes and commercial We undertake projects across the South of England and Wales. Current projects extend from Llansteffan to London. JOMA is a young and creative architecture and design studio committed to producing beautiful and environmentally conscious buildings. Not bound by pre-conceived ideas or an architectural agenda JOMA’s objective is to create thoughtful and pragmatic buildings and homes that respond not only to the clients needs and budget but to the location and the wider environment. JOMA Architecture is a RIBA chartered practice and a member of the Association of Environment Conscious Building. JOMA Architecture was founded in 2012 by Jonathan Marrion. He spent several years working for high profile practices before deciding to set up his own studio to curate a portfolio of designs true to his deeply sustainable philosophy. 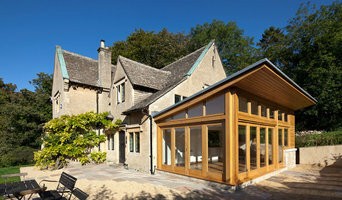 Everything you need for your dream bespoke oak framed home - Planning, Design & Build. We specialise in working with clients who want to build a bespoke oak framed house, but want to use a planning, design and build partner to take care of their project. Our clients choose their level of involvement at every step - and leave the rest to us. Lacey Architecture is a young, open-minded architectural design company passionate about residential design. Each project is approached by considering your requirements, context and your budget. We listen to our client's requirements and provide a high level of practical support and advice throughout, particularly for those who haven't built or extended previously. As well as a quick turnaround and pragmatic approach for those in the construction industry or with more experience. We combine fresh contemporary thinking with an unusually high level of hands on practical experience. We love buildings that are logical, economical and straightforward to build, while layering details in a considered and practical manner. We have a passion for practical, achievable sustainability without relying on expensive 'bolt-ons'. Cohesive design and considering the surroundings allows the building to be responsive and complement the context. We are able to assist with survey drawings, planning/lawful development packages, Building Regulation and construction drawings for all scales of residential and commercial design. We can meet to discuss your plans and ideas then provide a free quote for our design services broken down into clear stages. Please contact us for information or to discuss your project. We are an award winning, dynamic architecture practice based in the heart of the Cotswolds with a fresh and original approach to design and a passion for making. We work as an office to produce beautifully designed and crafted buildings, working closely with clients, builders and construction professionals. Kennet Design is a dynamic and forward-thinking architectural practice made up of chartered and non-chartered architectural designers that specialise in the residential space. Whether your project is large or small, traditional or contemporary, we'll work hard to realise your dream home even if you're working to a tight budget. We coordinate the entire pre-build process and lead you through the often confusing world of architectural design, planning and building regulations. We bring together all the third parties so you don't have to, obtain the necessary consents, even find and appoint a local, trusted building contractor and oversee your build for you as well if you wish. Our ultimate aim is that our clients enjoy a stree-free project whether that be a house extension, loft conversion or a new build home. We want them to be thrilled with the results. Mike and Amanda founded Milton Architects, an RIBA Chartered Practice, in 2005 after working together in London. 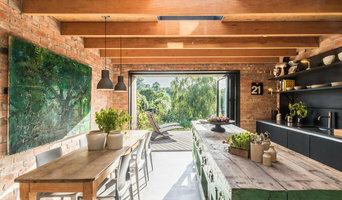 Their ambition was to create a small, design-focussed architectural practice in Marlborough, that would offer their clients contemporary design services supported by well organised, professional expertise. We are a young design led architecture practice based in the heart of Bristol with a fresh and original approach to design and a real passion for delivering high quality projects. We work closely with skilled professionals and craftspeople to produce considered and beautifully executed buildings, which ultimately have you as the client at the heart of the entire process. Cryer & Coe was established in 2017 by Duncan Cryer and Matthew Coe. Both have contributed to the delivery of a diverse range of national and international projects from small to large scale, high profile developments. Together we have developed a reputation for imaginative and ambitious designs within the constraints of existing buildings and sensitive sites and irrespective of budget, size or timescale each project is unique and viewed from a fresh perspective. Robin Designs Ltd is an Institute of Architectural Technologists registered practice as well as a Bristol City Council Accredited Planning Agent. Robin Designs was formed in 2010 by Robin Godfrey-Chartered Architectural Technologist- with the aim of balancing family life with a passion for architecture. Robins approach to listening to clients and understanding their requirements, together with creating interesting and imaginative architecture, has resulted in a growing reputation and client base. The fact that most new enquiries are from recommendations, speaks for itself. Andy Paterson Architects was founded in 1998. We're an elite team of two well-known industry professionals; Andy Paterson and Ben Tanner. Andy brings well over 15 years architecture design and building experience for a wide range of clients, whilst Ben comes from a background in housing, school and university buildings. We work mainly in the domestic field, in and around London, Oxford and the South West. We are passionate about buildings, whether formal or vernacular, existing or proposed - new build, the repair of old buildings, extensions, conversions, or details. We work with sustainability, contemporary design as well as conservation. Let's start designing your lifestyle! Goodchild Interiors are a straight forward architectural and interior design practice. With over 25 years of experience we propose sensible and creative ideas that resolve everyday problems, and can inspire you with the potential of your project. Re-modelling, restoring, extending, providing a completely new building or refurbishing a single room. Our specialism is creating contemporary interiors within Grade II Listed and high value properties. We propose ideas, arrange for the permissions, develop the builders specifications and can oversee the works with project values ranging from 50K to 2M. Based in Bristol, we predominately work in South West England and London for clients based all over the world. We are a small company by choice, so we can dedicate our time to individual clients and delver high quality design and a personal service. How do I choose the right Malmesbury, Wiltshire architect? Begin by determining the type of architectural service you require. Is it merely advice that you need? Or a detailed set of architectural design plans? Are you hoping to add a single-storey extension or are you really looking for someone to design you a custom home and handle construction management right through to completion? One of the most important duties of full service architects in Malmesbury, Wiltshire is to serve as project managers and supervise most aspects of construction as well as facilitate communication between all other contractors. Architecture is an incredibly technical profession and one where getting things wrong can literally put lives at risk, so do background checks on your Malmesbury architect. Check they are registered with architecture associations such as the Architect’s Registration Board (ARB) and The Royal Institute of British Architects (RIBA). Being part of an architecture association means that an architect or architecture firm has met certain standards, qualifications and practices, and can be held accountable if they don’t meet these standards. It’s advisable to choose architects that specialise in the kind of project that you are undertaking as their existing experience will shine through in the completed design. Look for an architect in Malmesbury, Wiltshire that can provide references and reviews of their previous work. Once you have determined the service level you need, your next consideration will be architectural style. Some architects specialise in designing for traditional housing such as period cottages and country homes, or even in designing modern replicas in a period style. Others have a knack for imagining bolder, more futuristic architectural design in Malmesbury, Wiltshire incorporating the latest green technology. Check their Houzz profile and website for examples of previous work. Early on, try to gauge availability – there’s no point in choosing an architect that’s going to be booked for months if you have a tight deadline. Some architects are happy to do all their work online or over the phone with you, but if you’d prefer to work with an architect in person then check that your chosen architects in Malmesbury, Wiltshire will travel to you. At the first meeting, preferably at your property or building site, give as clear a picture as possible of the kind of home you are trying to create to your architects. Chat through your goals, projected budget, scope of work, schedule and feedback, together with any very specific requirements you might have. It is crucial that your architects are clear about their responsibilities and that these are documented in the contract. Ask them to walk you through the process, including the number of architectural design consultations, site visits and what they will be delivering and when, e.g. feasibility study, a technical drawing, tender package and/or planning application drawings. They could illustrate this using a previous client’s project. Also, what does the architect need from you? Deeds, rights of way, deposit, staged payments etc. Once you have covered all this detail, you are ready to make your choice and get started. The architecture company in Malmesbury, Wiltshire that you hire will likely start with concept drawings and finish with construction drawings and documents. Some firms even design with 3D renderings, CAD and videos, but this is by no means essential. You are looking for architects in Malmesbury, Wiltshire that have the right balance of creative flair, technical nous, practicality and impeccable service to see you through. Get a sense of whether they are a good listener, collaborator and problem solver. Checking their references will also be invaluable at this stage so look at their Houzz profile for past customer reviews. Ask to speak to previous clients, particularly regarding their responsiveness and ability to work creatively around a budget. There is no set payment structure for an architect. Some Malmesbury, Wiltshire architects will charge an hourly rate, others base their fees on a percentage of the total construction cost or propose a fixed fee (payable in instalments) for projects such as house extensions or a complete home design. You may wish to pay in stages to safeguard against any possible dissatisfaction with the quality of service. Make sure the total figure and payment schedule is agreed as part of your contract, particularly if you are trying to accurately estimate the cost of building a house. What are the important questions to ask architects in Malmesbury, Wiltshire? How long have you been an architect in Malmesbury, Wiltshire? Are you part of ARB and RIBA? Are you part of any other associations of architectural design in Malmesbury, Wiltshire? 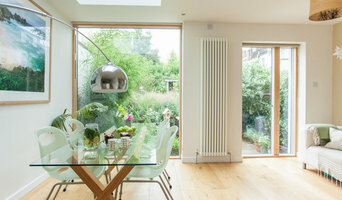 Find architects in Malmesbury, Wiltshire on Houzz in the Find a Pro section today. Start by browsing the architects and Malmesbury, Wiltshire architectural design firms near you and assess their reviews, latest projects and contact details.